Pilgrimage formed an important part of Buddhist devotional practice from ancient times. 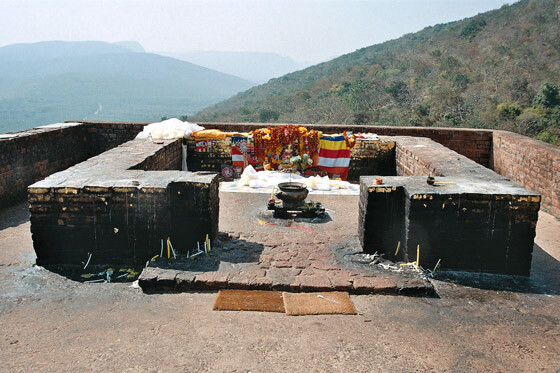 The Rg Veda, a Brahmanical text composed in c. 1200 BC, refers to the spiritual benefits that could be acquired by undertaking a pilgrimage to holy sites. In the Mahaparinibbana sutta, another early text, it is stated that the Buddha encouraged all devotees to make pilgrimages to four holy sites to ensure that they would be reborn in a heavenly world. 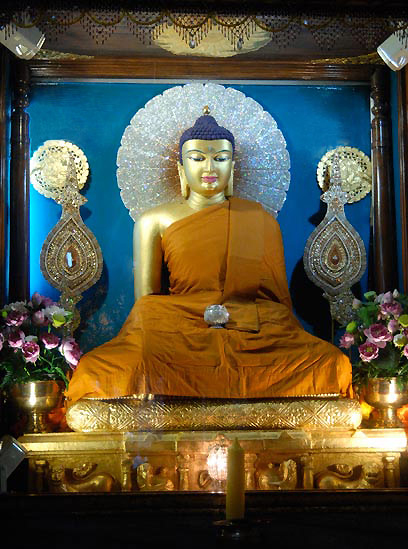 It was at these four sites - Lumbini, Bodhgaya, Sarnath and Kusinagara - that the most significant events of the Buddha's life took place (birth, enlightenment, turning the wheel of the law and death). Four other sites associated with special events and miracles soon also became a focus for pilgrimage. These are Sravasti, Sankasy, Vaisali and Rajgir. 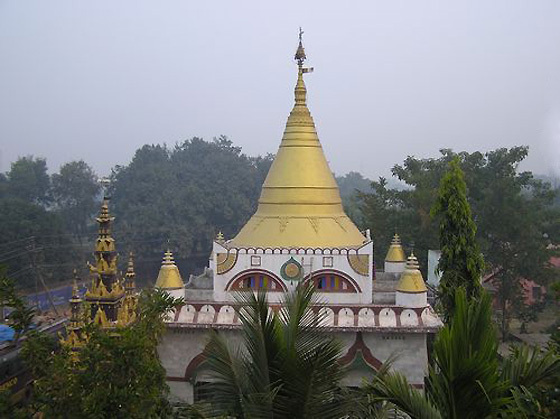 The eight pilgrimage sites are collectively known as the Astamahapratiharya. Lumbini (25 km E of Kapilavastu, Nepal) is where Queen Maya gave birth to the Buddha. The emperor Ashoka is thought to have visited the site in 250 BC with his teacher, Upagupta. Whilst he was there, a pillar (known as the Rummendei Pillar) and a stone wall were built to commemorate his visit. An inscription on the pillar recorded Ashoka's visit and noted his ruling that since Lumbini was the birthplace of the Buddha, the village would be exempt from paying taxes and would only have to contribute one-eighth of its produce. Surrounded by monasteries, the site now includes the pillar, a tank where the nagas (spirits of the waters) gave the Buddha his first purifying bath, the Mayadevi temple which stands on the precise birth place of the Buddha and a bodhi tree. 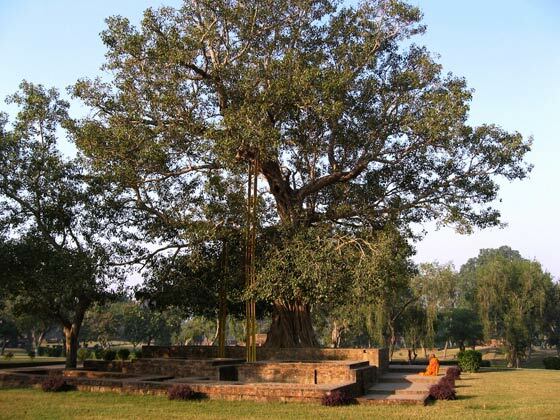 Here the Buddha finally gained enlightenment, sitting under a pipal tree, also known as the bodhi tree. 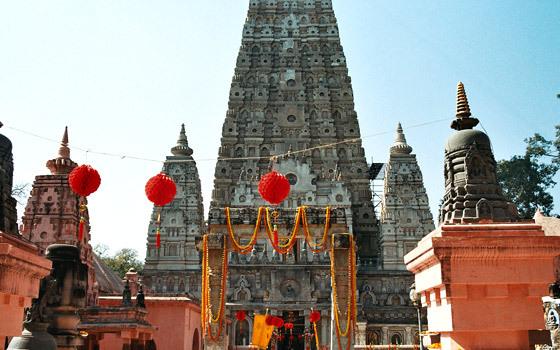 As the most important Buddhist site, Bodhgaya has been a key pilgrimage destination for Buddhists throughout Asia. Even today it attracts thousands of visitors from all over the world. The site has undergone many changes over the centuries. It was first marked by a tree-shrine (bodhighara) which was then enclosed by a two-storey wooden structure together with a stone throne. 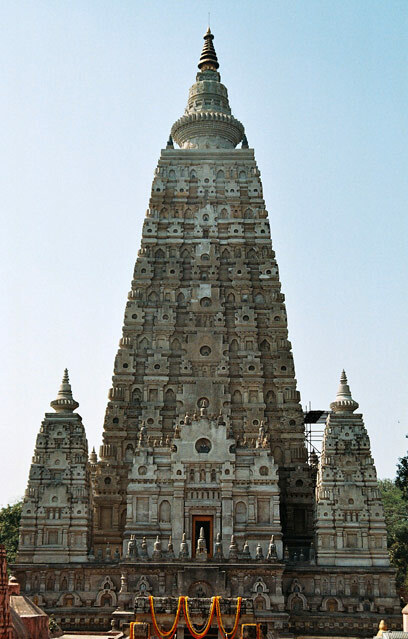 When Ashoka came to Bodhgaya in 259 BC, a commemorative temple was constructed. The Chinese pilgrim Faxian visited in approximately 400 AD and noted that the bodhi tree was still standing and that a tower shrine had been erected. Extensively restored during the 19th century, the brick tower of the Mahabodhi temple dominates the site, standing immediately in front of a descendant of the original bodhi tree. 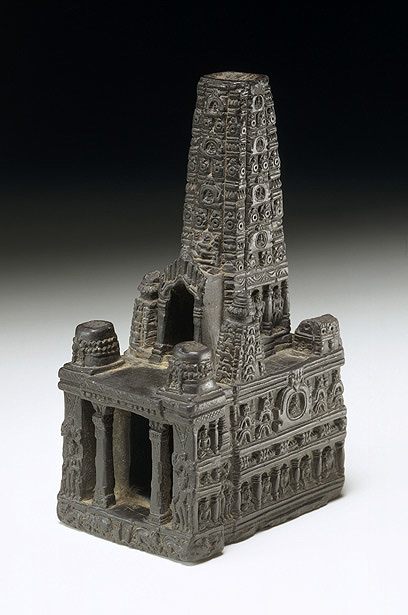 Descriptions of Bodhgaya refer to periodic restorations and the architectural style evident in this model suggest that it post-dates the extensive renovations of the temple by Burmese donors in the late 11th century. 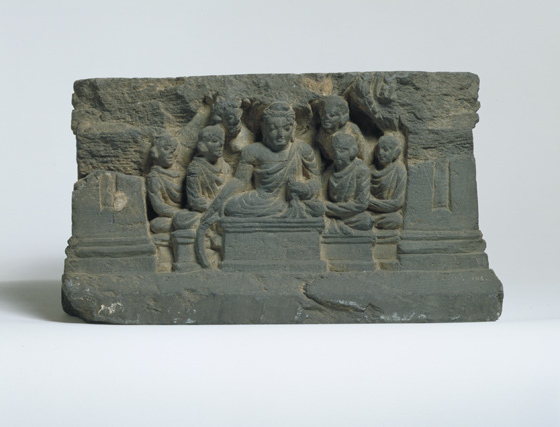 Models of this kind were made a substitutes for pilgrimage, to enable those unable to make the journey to experience this holy centre of Buddhism. 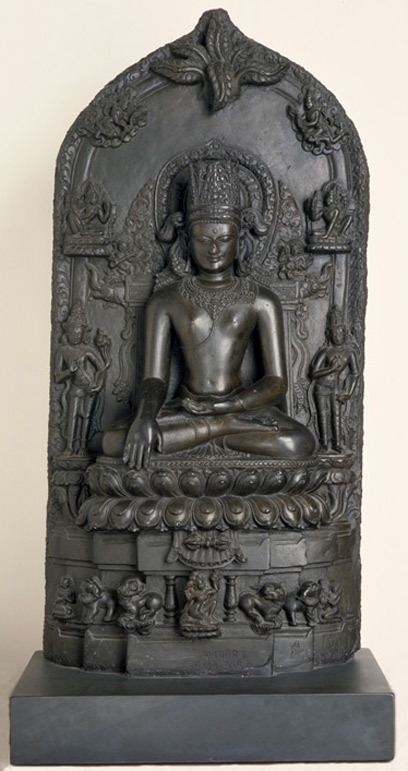 The Buddha is represented crowned and bejewelled in the style of a royal figure. He wears a tall crown and transparent robe which clings to the body and is adorned with a necklace and earrings. The use of royal imagery to evoke spiritual authority is apparent in this sculpture. He is seated on a double lotus throne beneath which rests a thunderbolt sceptre (vajra), symbol of an enlightened mind. With his right hand he points to the earth as witness of his enlightenment and beneath the vajra the Earth Goddess Prithvi appears, bearing witness to the Buddha's authority, with kneeling devotees on either side. 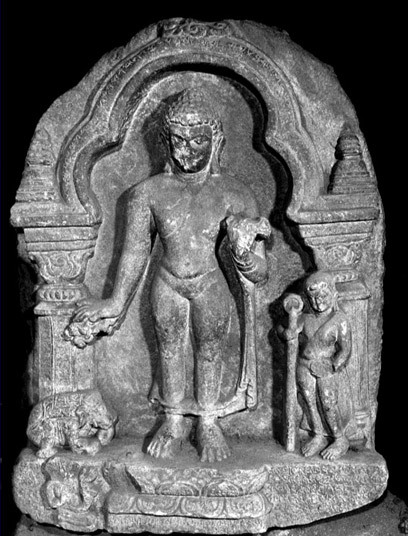 To the Buddha's right stands the Bodhisattva Padmapani (holding a lotus stem) whilst on the left is the Bodhisattva Maitreya. Seated on lotus thrones above the standing figures are the Bodhisattvas Vajrapani and Manjusri with celestial beings carrying scarves flying above them. Makara (sea monsters) and kinnara (bird-legged celestial musicians) appear on the back of the Buddha's throne. 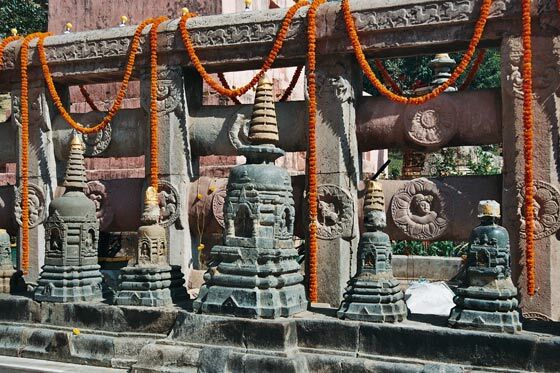 This pillar was found in Bodhgaya and formed part of the original sandstone railing surrounding the tree shrine at Bodhgaya, marking the site of the Buddha's enlightenment. The pillar is decorated on two faces with roundels, the upper roundel shows devotees worshipping the sacred Bodhi tree and a princely figure receiving a hunter with a bird on a pole. This is probably a scene from the Hamsa Jataka story which recounts the Buddha's previous existence as a goose who offered his life for another. A Brahmi inscription records the pillar as 'the gift of the noble lady Kurangi'. All major sites marking key events in the life of the Buddha assumed an ongoing importance in the Buddhist world as major pilgrim centres. The production of votives and other auspicious objects was an important activity, both for objects to be deposited by pilgrims as meritorious offerings and to be taken away as pilgrim souvenirs. This clay votive would have served as such a religious souvenir. 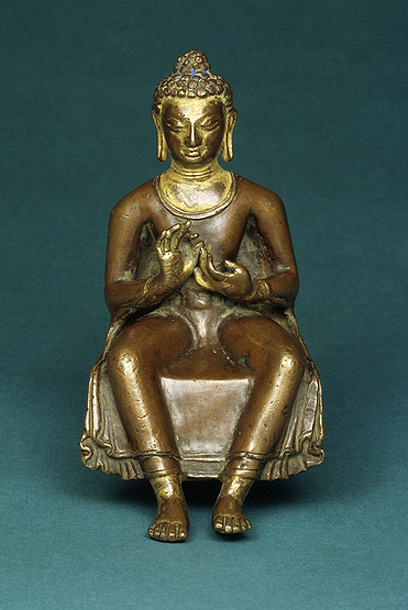 It depicts the Buddha enthroned on a lotus (padmasana), seated in the earth-touching gesture (bhumisparsamudra). He is flanked by two fly-whisk bearing attendant bodhisattvas, one flanked by a lotus stem, suggesting an identification as Avalokitesvara-Padmapani. All three figures have flaming halos and are supported by a lotus flower. 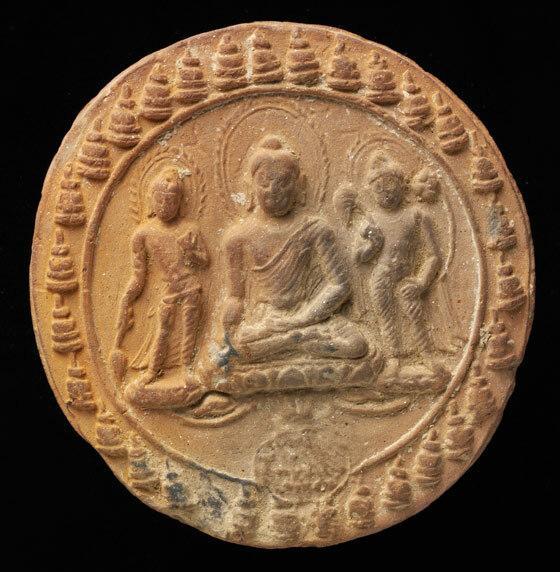 The Buddha’s posture points to this seal being produced at Bodhgaya, the site of the Buddha’s enlightenment. 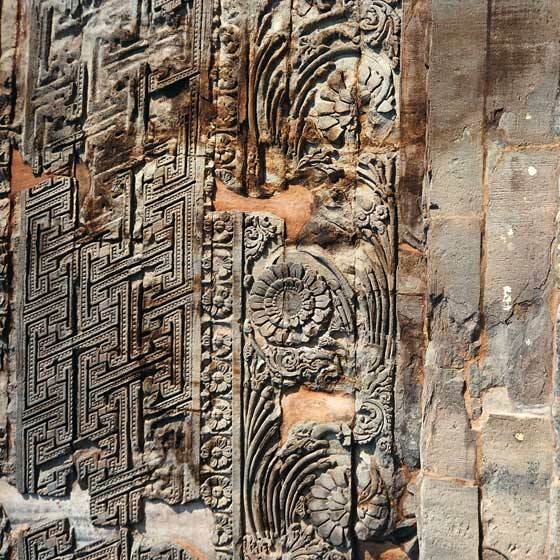 The entire composition is surrounded by small stupas (chaityas) and a seal impression in the lower rim bears an indecipherable inscription. 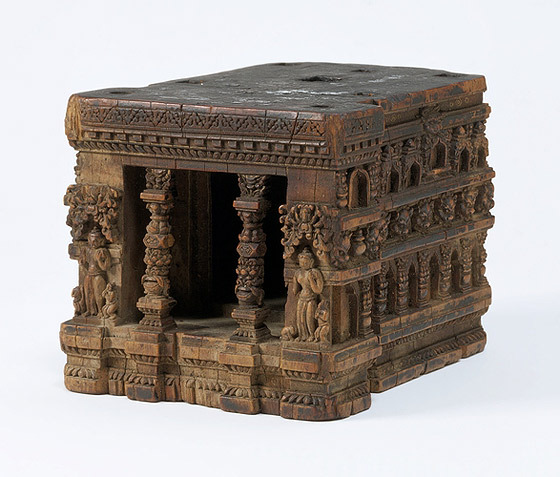 The model is decorated with relief panels and two pillars, carved in a distinctive Newari (Nepalese) style. The model is missing its main tower (sikhara) and the miniature stupas which would have decorated the upper platform. Models of this kind were made a substitutes for pilgrimage, to enable those unable to make the journey to experience this holy centre of Buddhism. 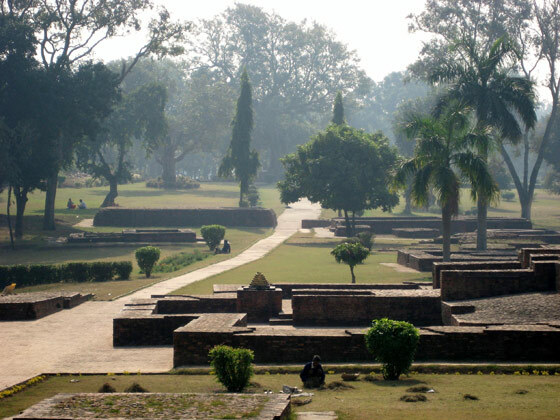 After his enlightenment, the Buddha gave his first teaching in a deer park at Sarnath. This is referred to as the first turning of the Wheel of the Law (Dharmachakra). 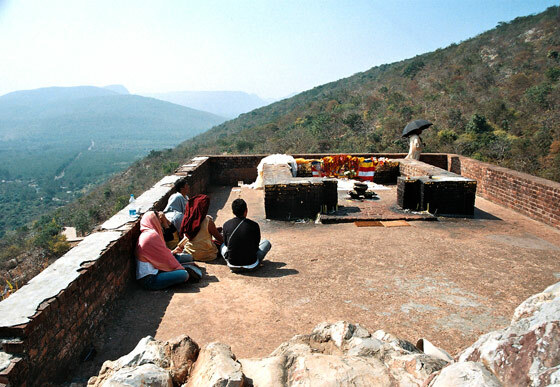 It was here that the Buddha also established the order of monks (sangha). 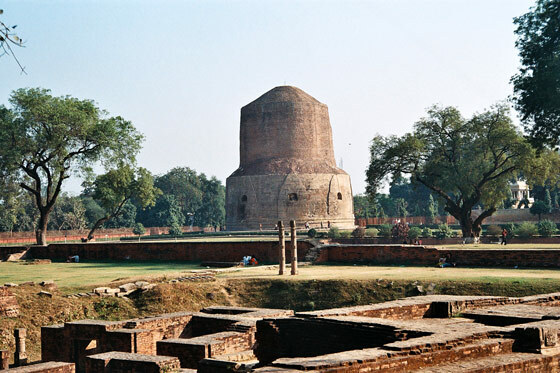 Because of its great importance as a pilgrimage site, Sarnath has been continuously occupied from the 3rd century BC until the 12th century AD when Buddhism was on the wane in northern India. 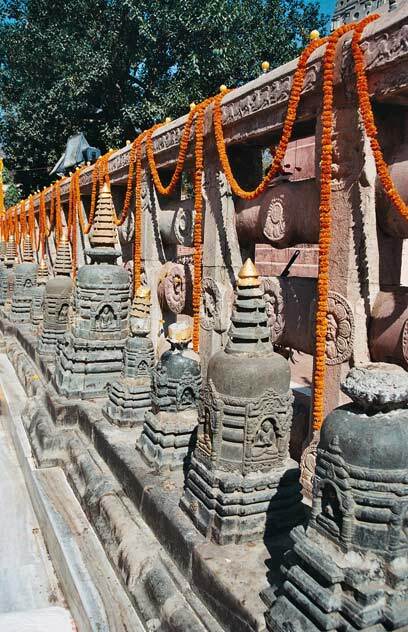 Ashoka visited the site and constructed two stupas (Dharmarajika and Dhamekh) and a commemorative pillar. By the 11th century these structures had fallen into disrepair, but excavations in the late 19th century uncovered the pillar together with a marble relic casket and an image of the Buddha delivering his first sermon. 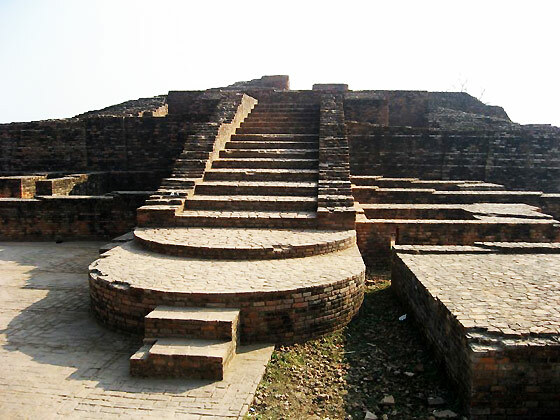 The Dhamekh stupa that exists today was built from brick during the 5th-6th centuries and stands on the site of earlier structures. 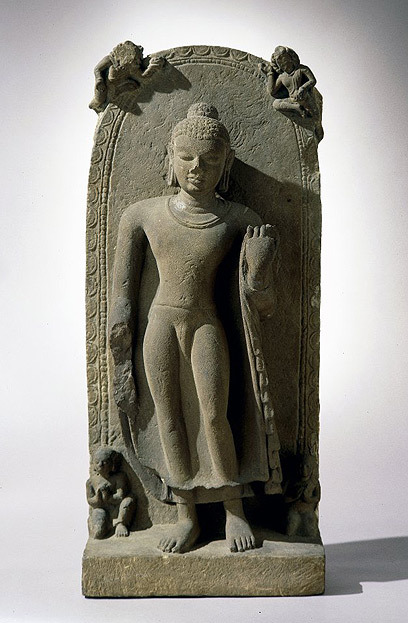 The Buddha chose Kusinagara, capital of the Malla kingdom, for his final extinction (Mahaparinirvana). 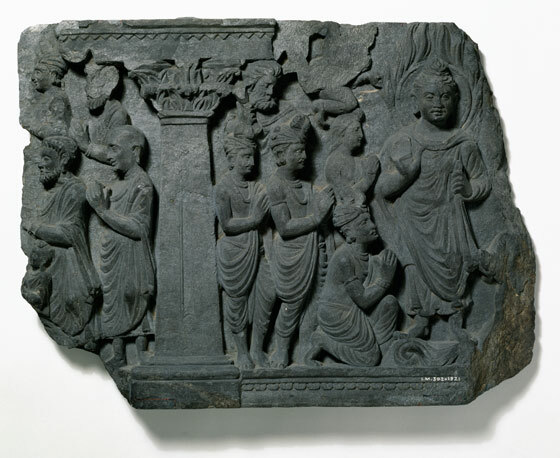 Records note that the Buddha had visited the city a number of times and many of the Mallas had become his followers. 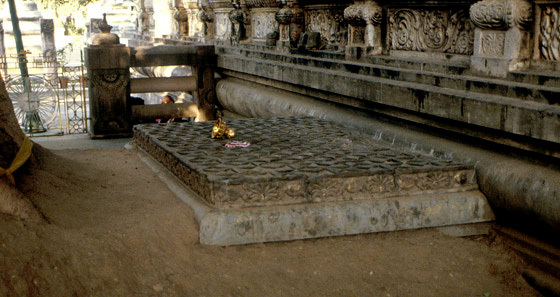 After his death, the Buddha's body was cremated at the shrine of the Mallas. His remains were divided into eight parts which were subsequently placed under eight stupas in different parts of the country. Ashoka made a significant contribution to construction at this site. 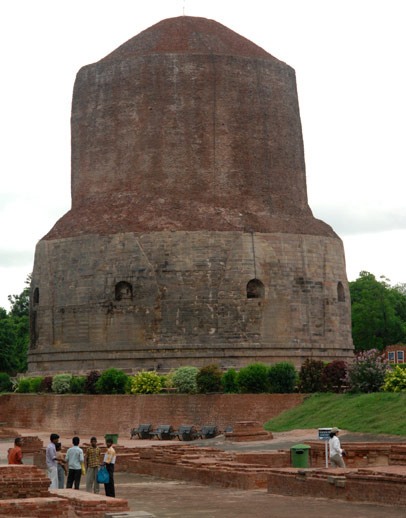 The Mahaparinirvana stupa marks the spot where the Buddha passed away. The temple contains a 6 metre long statue of the Buddha in parinirvana posture (lying on one side). 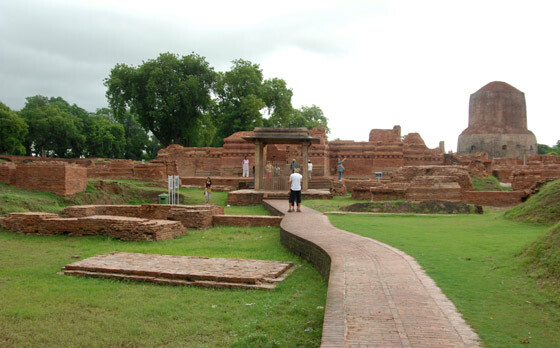 During the Buddha's lifetime, Sravasti, capital of the powerful Kosala kingdom, provided a retreat during the rainy season for large numbers of the monastic community (sangha). The Buddha spent much of his monastic life in Sravasti giving discourses and engaging in debates. It was here that six non-believers challenged the Buddha to perform a miracle whereupon he levitated on a thousand-petalled lotus, caused fire to shoot from his shoulders and water to flow from his feet and then multiplied himself. The monastery known as Jetavana Vihara was built by a rich and pious merchant who became a disciple of the Buddha. Close to the monastery is the Anandabodhi tree, grown from a cutting taken from the Bodhi tree in Anuradhapura in Sri Lanka which itself grew from a cutting taken from the original Bodhi tree in Bodhgaya. The monastery is still an important pilgrimage destination. 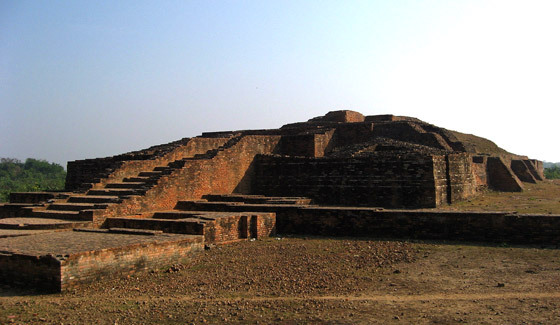 Sankasya (now identified with the village of Basantpur in Uttar Pradesh) is where the Buddha, together with Brahma and Indra, descended to earth from the Trayastrimsa heaven after preaching to his deceased mother, Mayadevi. Three ladders of silver, gold and jewels were provided for the gods and the event was witnessed by a vast crowd of people to whom the Buddha preached the Law.The Chinese pilgrims Faxien and Xuanzang noted that three ladders were to be seen there made from brick and stone. 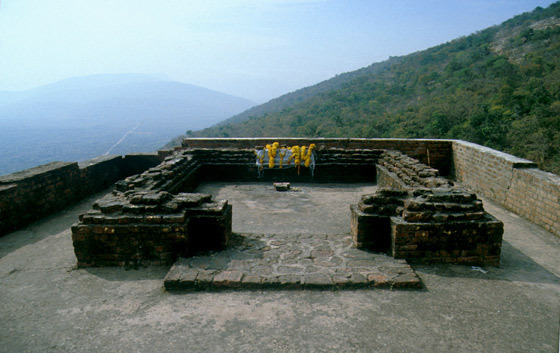 These may have been constructed by Ashoka to commemorate the Buddha's descent. A shrine marked the spot where the Buddha's foot first touched the ground and Ashoka also erected a pillar with an elephant capital to mark this holy place. Records indicate that the Buddha made several visits to Vaisali for the purpose of preaching to the monastic community (sangha) and setting down many instructions and rules (suttas). 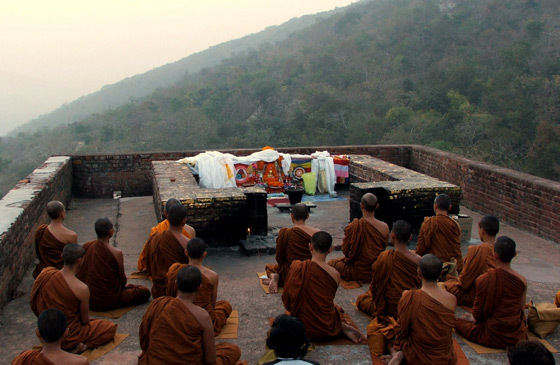 The Buddha spent several months meditating and preaching at Rajgir, converting the king of Magadha (present day Bihar) and many others to Buddhism including Jivaka (the king's physician), Sariputta and Mogallana who were to become important and influential disciples. Royal patronage allowed monastic buildings (vihara) to be constructed, providing a retreat for monks during the rainy season. 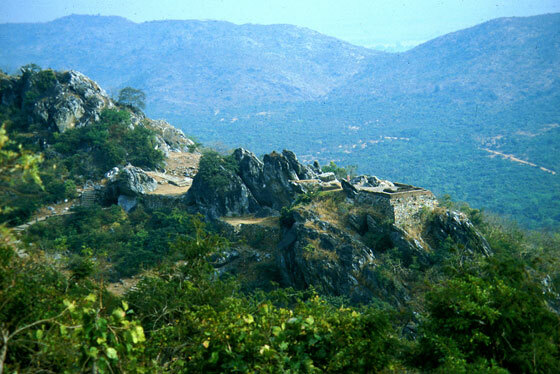 It was at Rajgir that Devadatta, one of the Buddha's disciples, attempted to kill the Buddha and seize leadership, by setting loose the wild elephant known as Nalagiri. Many texts relate the miraculous story of how the Buddha faced the charging elephant and subdued him. 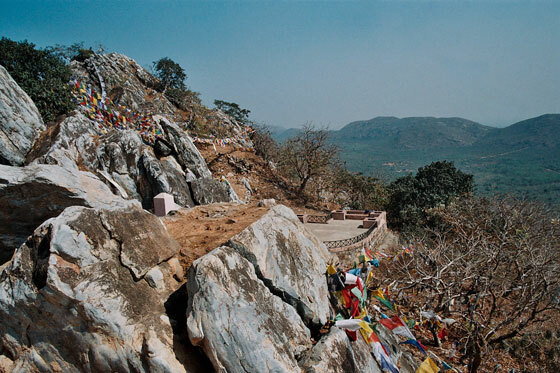 Ashoka erected a pillar to mark his visit to Rajgir and accounts of the city, monasteries and shrines appear in the journals of the Chinese pilgrims Fazian and Xuanzang.